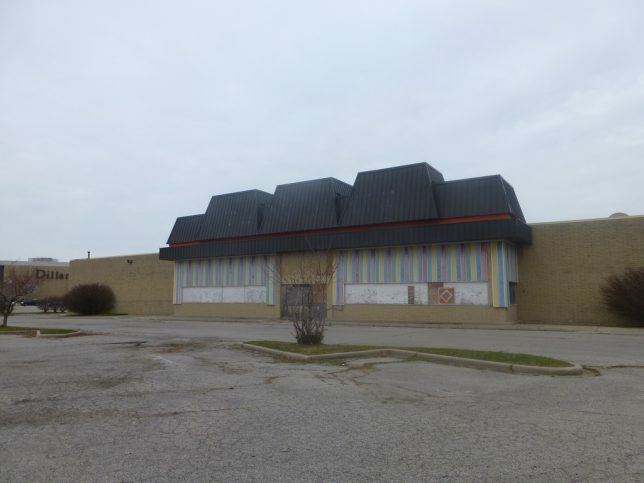 This grim-looking and decrepit abandoned Toys ‘R’ Us store once made children’s dreams come true from its anchor location at the Euclid Square Mall in – wait for it – Euclid, Ohio. Flickr member Nicholas Eckhart captured the forbidding atmosphere surrounding the structure on December 1st of 2012. Looks like Christmas has been canceled for Euclideans unless they can, er, work some other angle. Ouch. This short video by YouTube user Z4RT4N was taken in February of 2012. 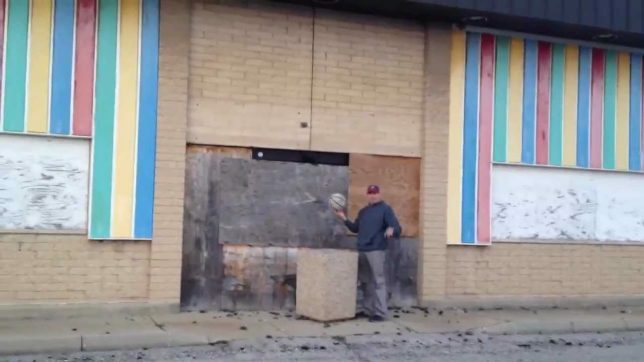 Supposedly the building was demolished in late 2017. There’s no pot of gold at the end of this rainbow, barring an economic miracle. 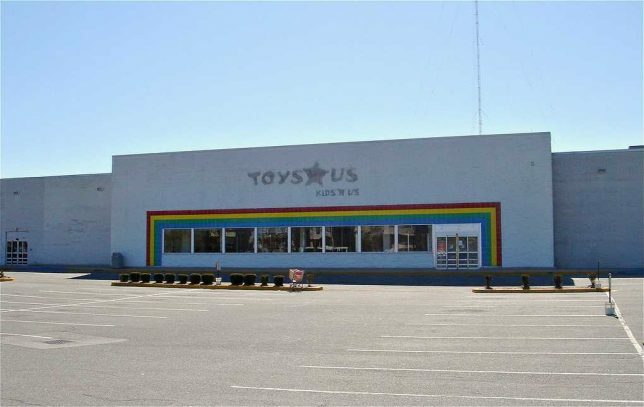 This de-branded but still obvious Toys ‘R’ Us store from Medford, Massachusetts was snapped by Flickr member The Caldor Rainbow shortly after it closed in early 2006. 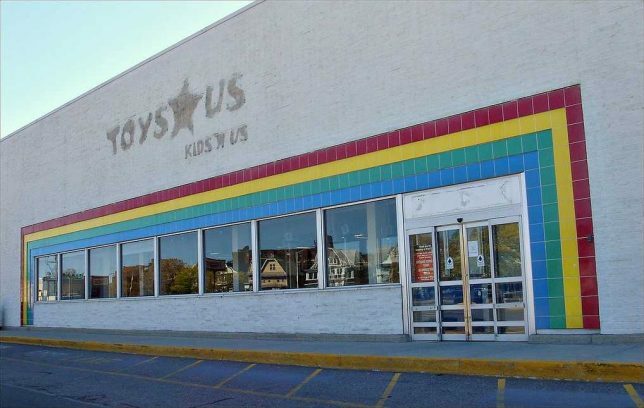 According to the photographer, this Toys ‘R’ Us location opened in 1992 but shut its doors along with a number of nearby stores in some sort of local retail apocalypse. 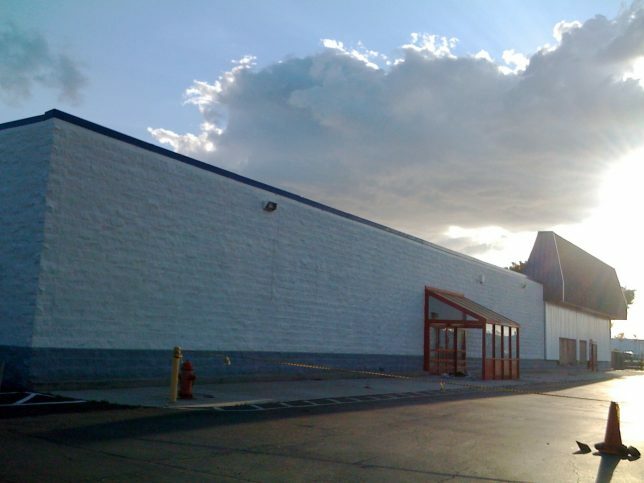 These days, two new stores share the razed and remodeled site. Is the sun truly setting on Toys ‘R’ Us, or will the once ubiquitous toy-seller escape Chapter 11 and emerge stronger, steadier and revitalized? Like, say, Sears? 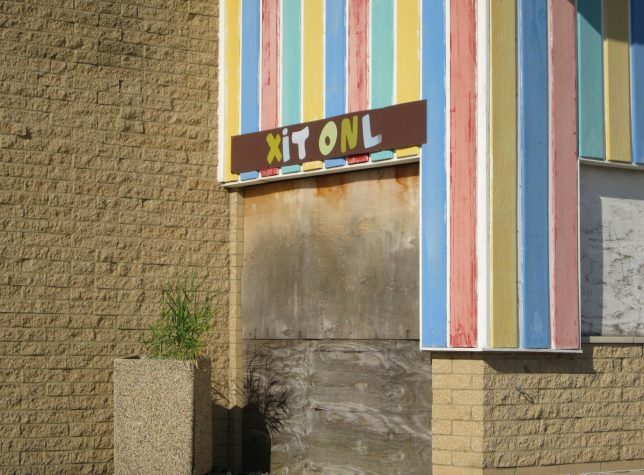 One can only hope – and Geoffrey the spokes-giraffe is too old to be re-trained. 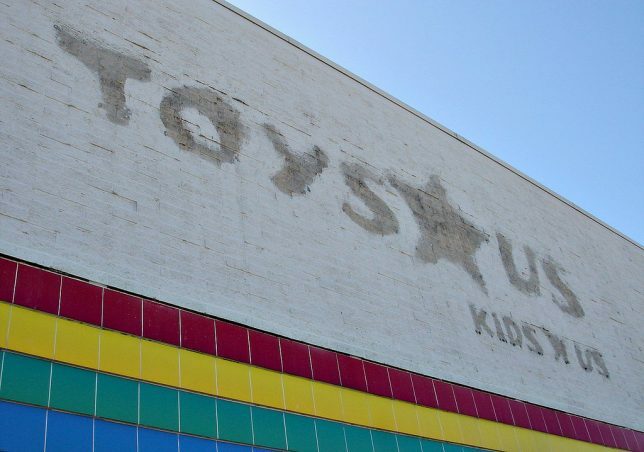 Kudos to Flickr member XV (xvm) for posting this photo of an abandoned Tampa, Florida, Toys ‘R’ Us store slipping wearily into yet another lonely night.